Since its release, the TC Electronic Hall of Fame has earned a spot as one of the most popular Reverb pedals on the market. Featuring 10 settings based on TC's classic library of effects, this pedal offers a diverse range of reverb styles to tap into. 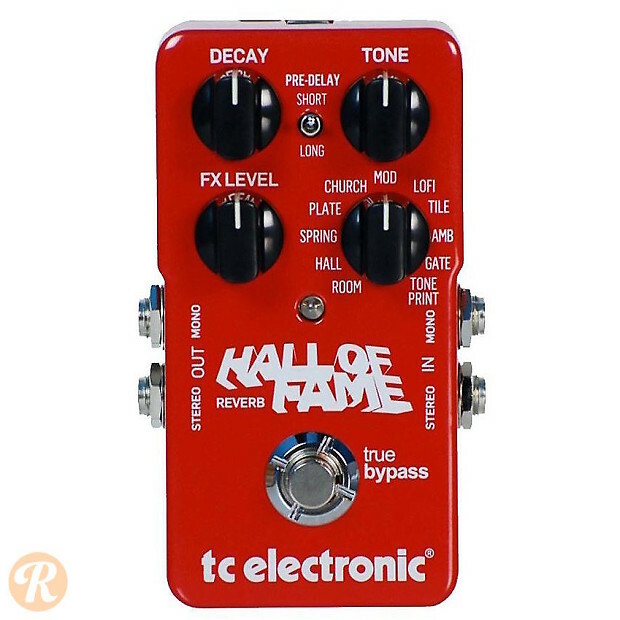 TC has also released a mini version of the Hall of Fame which, like the original, uses their Toneprint software for even more reverb flexibility.